At Oxford Street Dental, Leederville, we’re now offering some exciting new cosmetic services to complement your beautiful smiles. These procedures – Anti-Wrinkle Injectables and Dermal Fillers – may sound similar, though there are a handful of key differences between them, mostly relating to what they treat, and where the treatment is applied. Generally, no recovery period is required, meaning you can return to your every-day work schedule immediately after your session. Following your anti-ageing treatment at Oxford Street Dental, our team will provide a thorough check-up to ensure the best results. The procedure involves the injection of a natural protein into the facial muscles. Used in small amounts, this protein relaxes the muscles and nerves of the face. 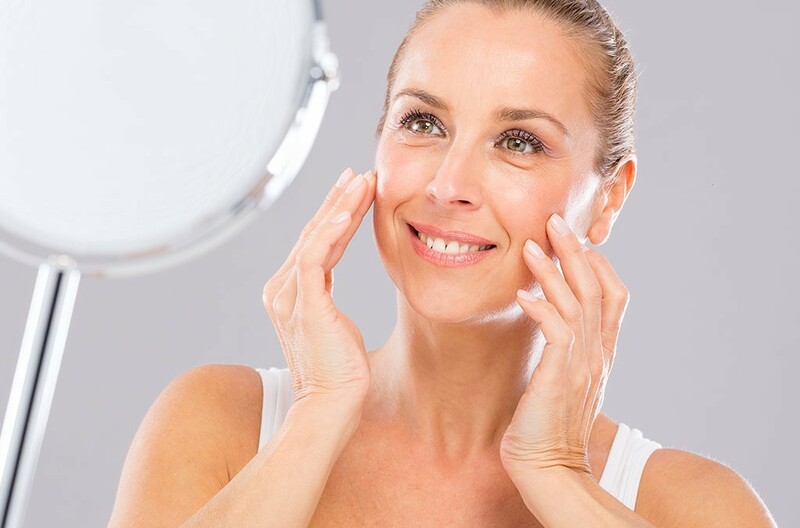 Anti-wrinkle injections reduce the appearance of fine lines and wrinkles caused by movement, including “expression lines” such as laughing or frowning. They can also be used to prevent the occurrence of new wrinkles and fine lines. Injectables can be a suitable non-surgical treatment for gummy smiles. Results gradually start to become visible after approximately 6 days, and generally last up to 5 months. The most commonly used dermal filler is hyaluronic acid – a substance found naturally in our skin. Dermal fillers can be used to fill out wrinkles caused by sagging, scarring caused by acne, and to plump lips. Unlike anti-wrinkle injections (which are injected into muscles), dermal fillers are injected into the dermal layer of your skin. These work by filling, enhancing, and restoring volume loss into the facial contours. Fillers can also improve your skin’s texture and hydration. The effects of dermal fillers can usually be seen immediately, though some patients experience minor swelling in the treated areas, which subsides within 2-3 days. The effects of dermal fillers generally last for 6 to 12 months, depending on the area treated. With regular treatments, dermal fillers (unlike anti-wrinkle injections) improve and rejuvenate skin over time. Now, you may be thinking “so, which treatment is right for me?”, and the answer to this is simple – during your consultation session, our qualified staff will be able to assist you in making this decision based on your individual requirements. Our doctors are comprehensively trained to understand how the shape and proportions of your facial assets – your eyes, nose, lips cheeks, and teeth – affect the overall aesthetics of your face, and can discuss the best options for you. Our Leederville centre offers both dermal filler injections and anti-wrinkle injections – rest assure that only our highly trained practitioners administer cosmetic treatments. Disclaimer: Information provided on this website is to be treated as general information only and is not a substitute for professional medical advice.